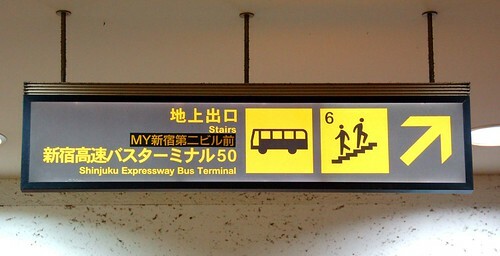 Quite a few buses operate at Shinjuku Keio Highway Bus Terminal for Mt Fuji etc. 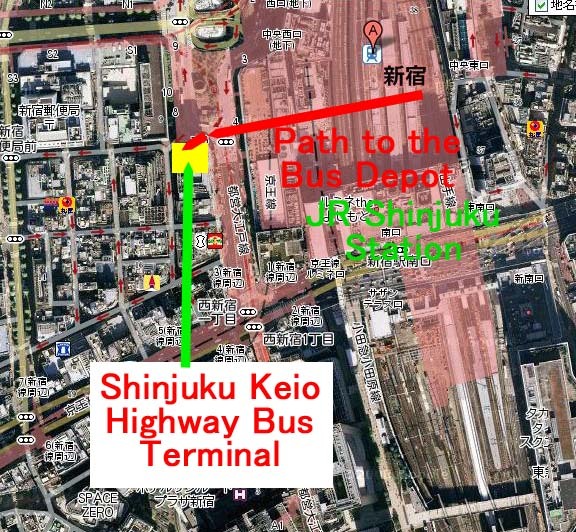 This time I'd direct you from JR Shinjuku Station to the bus depot. 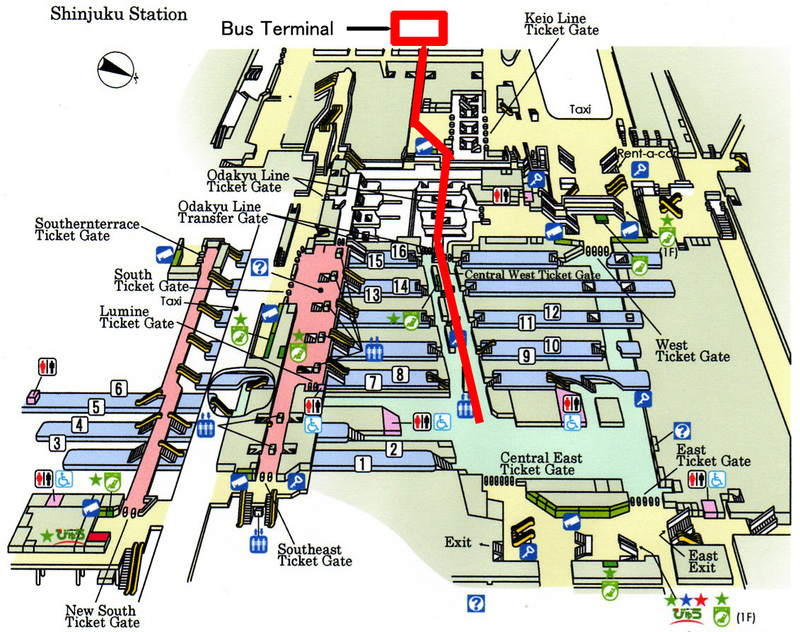 We are heading in the direction of Keio Line Ticket Gate from Central East Ticket Gate area walking the second right underground hallway colored in blue on the map. Walk down the hallway following the signposts toward Central West Exit. This is Central West Exit. 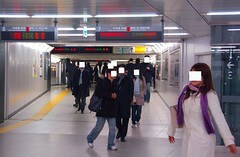 It might be useful for those who head to Keio Plaza Hotel or Tokyo Metropolitan Government Building. But we don't exit from here this time. 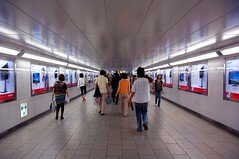 Walk toward Keio Shinjuku Station. Go downstairs and walk down another hallway, then go upstairs. Then we clear the other Central West Exit. As soon as you see this signpost, go upstairs to the ground level. You'll find the bus depot on your left soon after you reach the ground level. 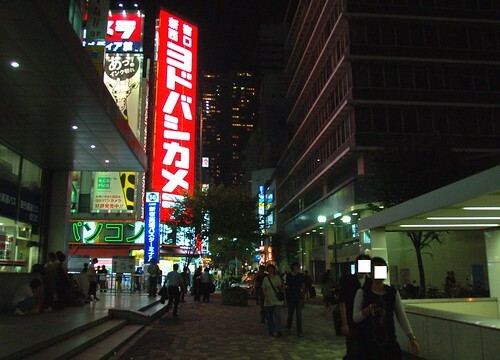 The red neon is Yodobashi Camera's, and you see Keio Plaza Hotel over there. 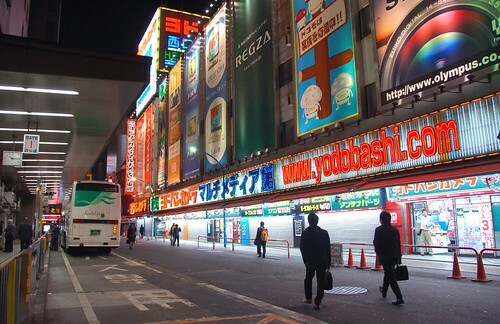 Those who go to Kadoya Hotel, walk down this street, cross the street and turn to the left at the corner with a Lowson. Then you're there. Hi, your directions are really helpful! I have a little question: where do I buy the Keio bus tickets? Thanks! 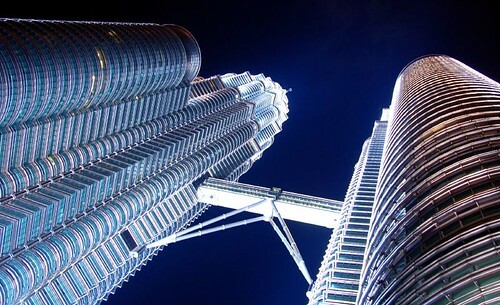 Where you should purchase a bus ticket depends on when you travel. On the ground floor of the building on the left in the last photo above. On the second floor of the above-mentioned building. IIRC, it closes at 20:00 hrs. Hi there, thanks a lot for your directions. Besides Keio bus tickets, can I also buy Nohi bus tickets from the above location? I'm planning to travel by bus from Osaka to Takayama, from Takayama to Shirakawago and also Takayama back to Tokyo. You can't purchase the Osaka->Takayama, and Takayama->Shirakawago ticket at this depot. You need to purchase them at the starting or finishing points on the respective segments. 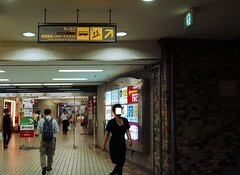 However the Takayama->Shinjuku ticket can be purchased at this sales point. 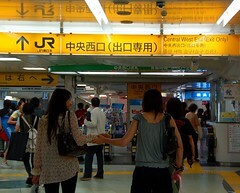 hi, I'm going to fuji-q highland from shinjuku station. There is the fuji express bus and the keio bus. Which is better and where can i get tickets? thanks so much! 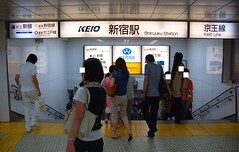 The Shinjuku - Fujikyu Highland route is collectively run by both Keio and Fujikyu. I think their quality of the service is of the same level. As to where to buy a bus ticket, please refer to the second comment. I am really impressed with your navigation and pix. This is what I am looking for. Thanks a lots! Is it better to get the ticket to Kawaguchi-Ko a day earlier or it doesn't make any difference to get it on the same day? What is the frequency of the express bus from Tokyo to Kawaguchi-Ko? Can I know the operating hours of this bus terminal? Will I still be able to purchase tickets for next morning if I reach around 8.30pm?